Industrial Gas Cylinders that we offer are perfect to be used for carrying oxygen, nitrogen, argon, carbon di oxide, nitrous oxide, dissolved acetylene (D/A), hydrogen and medicinal gases. These cylinders are manufactured in accordance with IS and international standard. 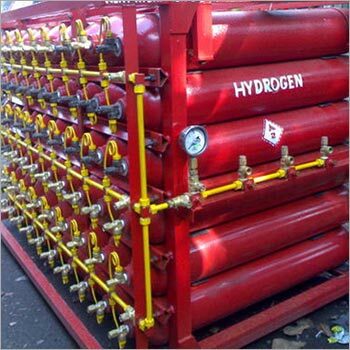 We are reckoned as one of the reputed Exporters and Suppliers of Industrial Gas Cylinders. Because of our vast distribution network, it has always been an easy job for us to deliver retail as well as bulk orders for Industrial Gas Cylinders within the committed time frame.